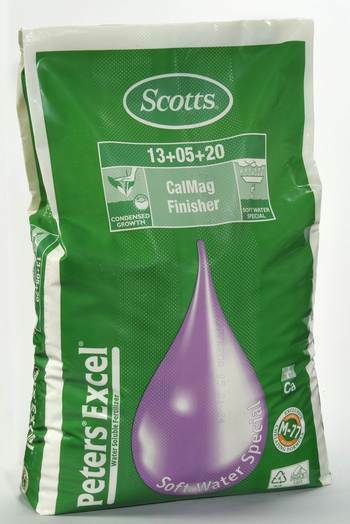 Peters Excel CalMag Finisher is a single-tank mix fertilizer that provides plants with all the essential nutrients it requires. It is often used as a follow-up to CalMag Grower, which has a high potassium formula that leads to compact and condensed growth. To ensure that this product dissolves completely, prepare the stock solution 1-2 hours before intended use; stir well or use warm water. Product should be closed properly and kept in dry conditions. Do not mix Peters Excel products with any other NPK or phosphate fertilizer, except with phosphoric acid.